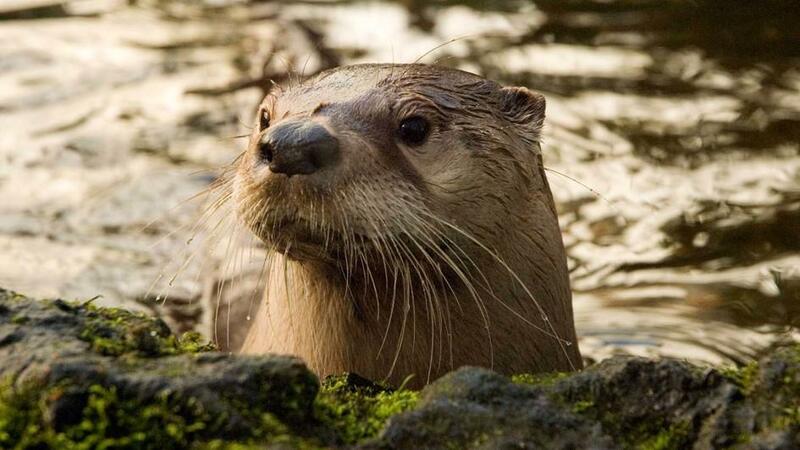 River otters have incredible adaptations for life in the river. Learn about some of them, and the three otters who live at The Wild Center and their own stories of how they came to swim in the Adirondacks. The Adirondacks is a great place to see otters in the wild. During the winter, if you come to The Wild Center, you might see some at dawn or dusk by the causeway heading south out of Tupper Lake. The Raquette River flows under the bridge and there is often open water there and staff have seen otters catching fish and eating them on the ice.